Remembering a life well lived. For over 60 years, Ebby Halliday Realtors has been selling homes in Dallas and is, today, a household name. Ebby Halliday helped shape the industry over the years, growing her business while giving never-ending community service to her beloved hometown. 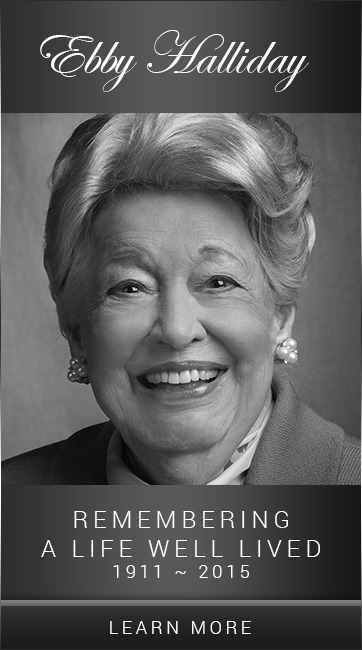 During her life, Ebby was honored with practically every industry and business award – including the Horatio Alger Award in 2005, which recognizes Distinguished Americans who have become exceptional leaders while overcoming significant challenges to achieve success. Paulette began working with Ebby in 1990. Their careers grew together, as did their friendship. Like Ebby, Paulette overcame her own challenging circumstances to become one of the most successful Realtors in the United States. Today, Ebby Halliday Realtors is the largest independently owned residential real estate company in Texas and the 9th-largest nationwide, selling more homes than any other brokerage in the Metroplex. 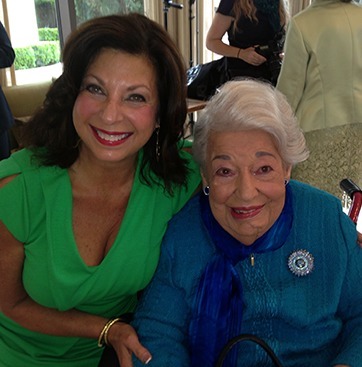 Paulette will forever treasure being able to work with this inspiring woman and is honored to have called her a friend.